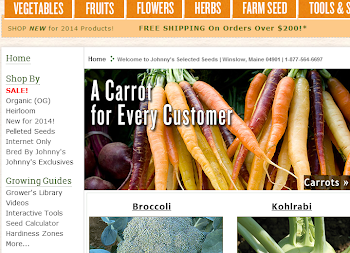 Joseph McDonald, of Mount Holly, Vt., sent us photos of his hoophouse gardens this week. 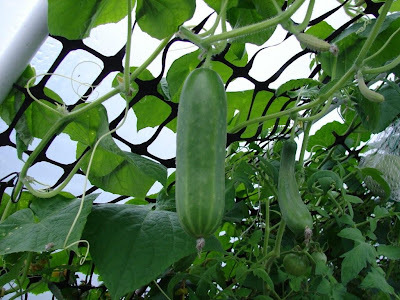 Joe had great success this growing season with our seedless Diva Cucumber as you can see in these photos. 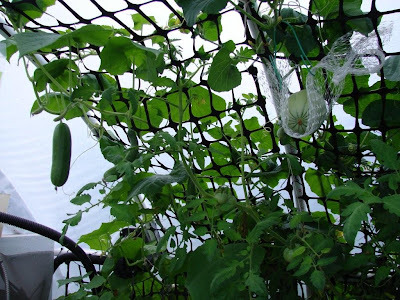 The cucumbers hang from a cleverly designed trellis, which was fabricated from plastic snow fencing. 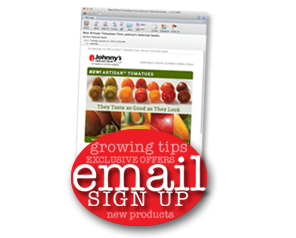 Diva is a delicious Johnny's-bred variety and an All-America Selections winner. That does well in greenhouse settings. Joe, who owns a refrigeration repair business, also reported his EarliChamp Melons thrived under the hoophouse. 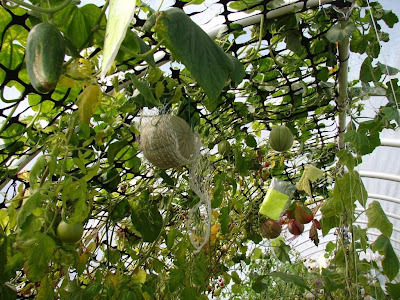 He used a unique hammock method to support the fruit, which can grow to 6-plus pounds.